In this vape review, we’ll be taking a look at the new Vaptio N1 Pro 240w Kit. 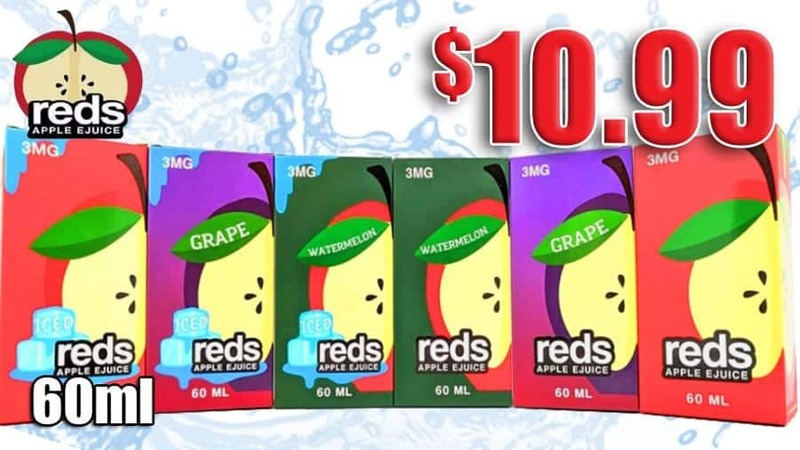 Vaptio is a relatively new company who’s been releasing quite a few products lately. The N1 Pro 240w Kit specifically is available in two different versions, and both come with the Frogman Sub Ohm Tank. What’s unique about this device, depending on which vape kit you choose, the N1 Pro is capable of utilizing either 2 or 3 high drain 18650 batteries, giving you a versatile vape mod. Before getting any further, we’d like to thank Vaptio for sending this vape starter kit our way for the purposes of this review. We’ll go over our first impressions, usage, performance, pros and cons, and conclude with whether or not we recommend the Vaptio N1 Pro 240w Kit! 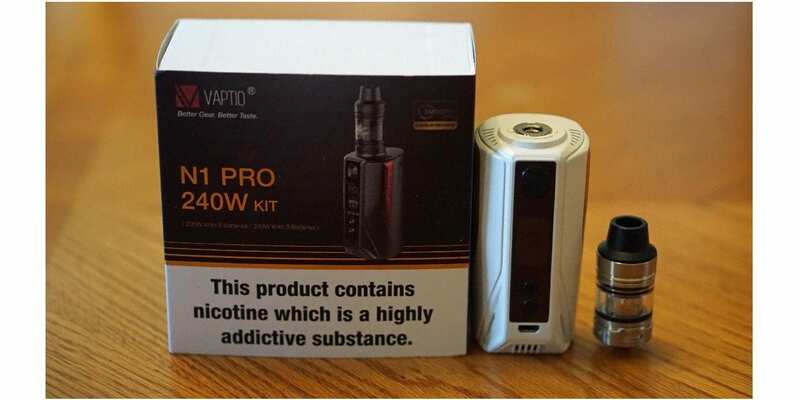 The packaging the Vaptio N1 Pro 240w Kit comes in is relatively straightforward where it has the nicotine warning on the front alongside the image and name of the kit. On the back of the packaging it does show what exactly is included in the box along with the nicotine warning once more. The packaging itself is well done, and best of all, it does keep everything within nice and safe during transit. Once you slide open the packaging, you’re met with the Vaptio N1 Pro 240w Box Mod, the Frogman sub ohm tank, and the replacement glass tank section. Underneath those, you can find the additional battery door to make it a triple 18650 vape mod, a replacement coil head, a micro USB cable, a manual and warranty information card. It’s definitely a pro in my book that they give you all of these extras in this kit. My first impression of the N1 Pro 240w Mod is that it is quite large, especially comparing it to a lot of the releases we’ve seen this year where companies were making dual battery devices as small as they can. This may be a subjective con as some vapers may not like its larger size, but I personally didn’t mind it. The color I received is the White and Gold, but there are other color options available such as Red and Black, White and Red, and Black and Gold. Although the device is on the larger and heavier side, it definitely is comfortable to hold with no sharp edges to be found. All of the buttons are clickly and have a nice feedback to them as well, which is another good thing. On the front, you also have the 0.91 inch color display screen, and the micro USB port which as towards the bottom. One thing I did notice right away is the 510 connection, it is slightly raised above, which will probably make larger atomizers not sit flush. It’s not a huge deal, but I do wish it was flat to accommodate a variety of atomizers. The Vaptio N1 Pro does come with the dual battery door pre-installed, but you can use 3 batteries with the additional battery door similar to the RX2/3 by Wismec. To take the battery door off, simply push the button located under the mod, and the battery door will pop out of place. The battery door is firm in place once installed, so your batteries are secure. Moving on to the Frogman sub ohm tank, it sports an overall diameter of 23.5mm and has fully adjustable bottom airflow. Both of the included glass tank sections do have the Frogman logo on it, and regardless of which is used, you do have a 2ml e-liquid capacity. There is a larger version available, which is the Frogman XL Tank that is a bit larger (26.5mm diameter), and holds 5ml of e-juice. The Frogman tank also has a 510 wide bore delrin drip tip which basically covers the entire top section, which is good as no heat will transfer to your lips while vaping. Overall, my first impressions of the Vaptio N1 Pro 240w Kit was great! There were a few subjective cons to be mentioned, but none which I found to be truly a con for my preferences. As mentioned previously, the Vaptio N1 Pro 240w Kit is fairly large in size, but it is still comfortable to hold and use for extended vaping sessions. In addition, you can still travel with it in your pocket, book bag or purse with no issues. However, once you do install the triple battery door, it does extend the size quite a bit, making it not as pocket friendly. I did find myself using it in dual battery mode more as it simply wasn’t as large. However, it’s still a pro that they do give you an option of using either 2 or 3 high drain 18650 batteries. Now if you didn’t care for the additional battery door, there is a “Lite” version which doesn’t include it, and would definitely cater more to your needs better. 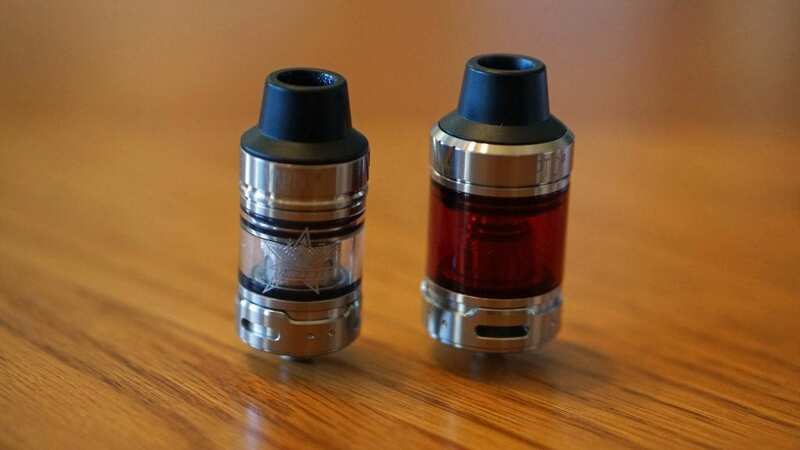 According to their website, it also has the option of the 2ml and 5ml versions of the Frogman tank. I do want to mention that in 2 battery mode it has a maximum wattage output of 200w, and in 3 battery mode it’s 240w. Installing your 3rd battery into the triple battery door is pretty easy, but getting it out might be a bit time consuming. It’s not difficult by any means, but I’m just very careful with all of my mods I own and try to not tear my battery wraps. Onto actually using the Vaptio N1 Pro 240w Box mod. Once you install your batteries, a simple 5 clicks will turn it on. Once you turn it on and attach an atomizer, it will automatically recognize it, and ask you whether if it’s a new coil or not. Once that’s selected, it’ll ask you which mode you want to be in such as Regulated, Temperature Control, Bypass, Custom and Screen off. Once you are finished, you’ll can vape right away. Navigating the menu system is also pretty simple, a simple 3 clicks will get you into the menu where you can select from Out Mode, System and Back. Out mode is basically selecting which mode you want to be in, same as if you were to attach a new atomizer. So this is where you’ll go if you want to get out of which mode you selected previously, and into a new one. When you select “System”, you can set up the preferred temperature (C or F), TCR settings, set your custom curves, smoke time (which is setting a cut off timer), and sleep time (where you adjust the amount of time it has before it goes into sleep mode). One con I do want to mention is that when you want to adjust your wattage in temperature control mode, you do have to go back into “System” and adjust it from there. I do wish there was a quicker way to do this, but I couldn’t find any. 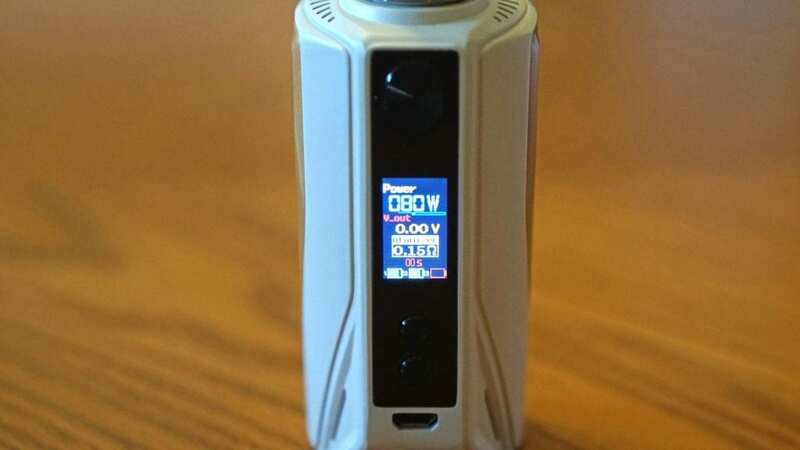 This might be a con for those vapers who likes to adjust their wattages frequently in TC mode, but if you’re a vaper who sets your wattage and just vapes without changing it often, then this wouldn’t bother you too much. Something else worth mentioning is that there is a TC mode for NiChrome wire, but from what I understand there’s no TC for that specific wire. The screen itself is a bit on the small size, especially when you consider how large the actual device is. I do wish it was just a bit bigger to make it easier to see overall, but I didn’t have much issues seeing the vaping information on the screen. It is a color display screen, which I do like, but it’s definitely on the smaller side. The Frogman Tank is pretty straightforward honestly when it comes to using it. It does have a nice top fill design that pops up when you open it, and when you’re ready to put it back on, simply line it up and a slight turn will completely close it. This tank does have a 2ml e-liquid capacity, so you’ll be filling this one a bit more often, but this would depend on how much you’re vaping and the wattage you’re vaping at. Adjusting the airflow is easy, and it does stop in either direction when fully opened or closed. Overall, using this device has been a great experience! The only issue I found while using it is changing your wattage in TC mode, it’s just annoying really to have to go into the menu to change your wattage. Thankfully, I primarily vaped this device in regular wattage mode. The performance of the Vaptio N1 Pro 240w Box Mod has been excellent! 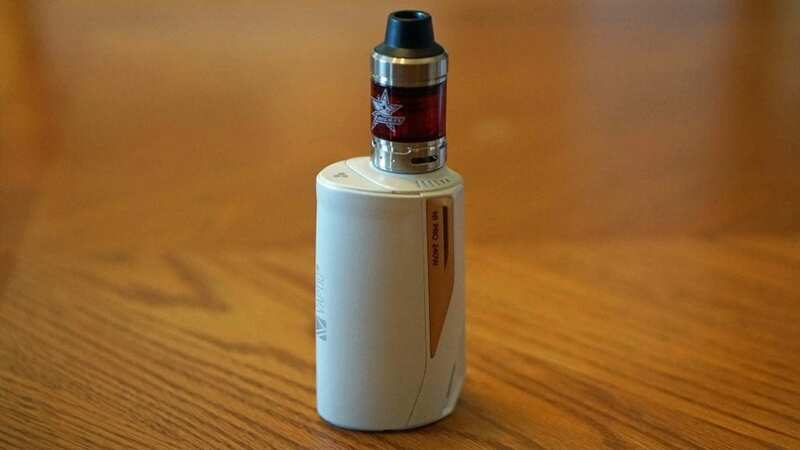 As mentioned earlier, in 2 battery mode it has a maximum wattage output of 200w, and in 3 battery mode, it has a maximum wattage output of 240w. Now, I don’t have the necessary equipment to actually test the maximum wattage, but I will say in dual battery mode, it does feel it vapes at about 180w or 185w maximum, which is still more than enough with 2 batteries in my opinion. I don’t vape that high of a wattage, so it wasn’t a huge issue to me that it doesn’t feel like an actual 200w vape. With 3 batteries installed, I would say it definitely hits the 200w mark with ease. I’m not 100% sure about 240w, but it definitely delivers high wattages and sustains it better in 3 battery mode, which is expected. The Vaptio N1 Pro does fire right away with zero delays, which is a big pro in my opinion. In temperature control mode, I did test Stainless Steel and it did work well. I wouldn’t say as great as say a DNA box mod, but definitely better than some other similarly priced vape kits. The vape was consistent and felt pretty close to the temperature set. I didn’t test the TC in Ni200 or Ti mode, as I don’t vape that wire material any longer, but judging by the performance of SS temperature control mode, I would say it’d work great. There is a TCR mode as well, so you can easily fine tune it to your preference. The battery life in 2 battery mode is pretty much on par with any other dual 18650 box mod, and the same can be said in triple battery mode. If you wanted more battery life, simply use the additional battery door, but if you wanted something smaller with a little less battery life, I would say use the pre-installed battery door. Vaping it between 50w and 75w, I could easily get through most of the day without needing to change the battery when using 2 high drain 18650 batteries. The Frogman Tank actually performed a lot better than I thought it would. It does come pre-installed with a 0.15 ohm coil head (Frogman – W8), and includes an extra 0.4 ohm coil head (Frogman – W2). The 0.15 ohm coil head is rated up to 110w, but is rated best between 60w and 80w, which I found to be spot on. I preferred to vape this coil at 75w, and I got a warm and flavorful vape. The flavor is actually pretty good for a sub ohm tank and I was quite impressed. The same can be said for the 0.4 ohm coil, which is rated best between 40w and 65w. I did prefer to vape this specific coil at 55w. Both of the coils have a break in period of about a full tank (2ml), which isn’t too bad. The airflow is nice and smooth, but still a bit restricted even while fully open. Since it had some restriction wide open, I actually preferred to vape the Frogman Tank this way as I do prefer a somewhat restricted direct lung vape. One thing to mention is that I experienced zero leaking with this vape tank, which is a big pro in my book! In addition, even when using e-liquid with a good amount of sweetener, the coils performed well for at least 1 week before I noticed a slight decrease in performance. Overall, the performance of the Vaptio N1 Pro 240w Kit was top notch! I didn’t have any issues in regards to performance, and was actually surprised by the performance of the Frogman Tank! In conclusion, the Vaptio N1 Pro 240w Kit is an excellent and versatile performer. It’s always a good thing to have a mod that is capable of running 2 or 3 high drain 18650 batteries! In addition, the Vaptio N1 Pro is certainly well made, and feels of great quality when it’s held in your hands. 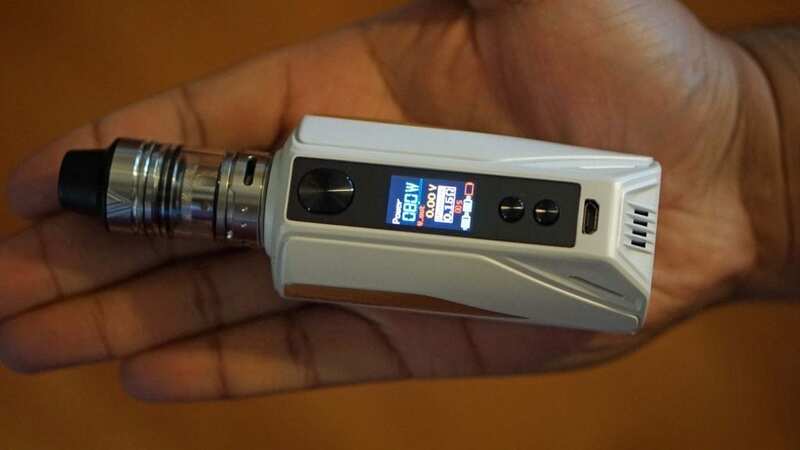 There were some cons to be mentioned, and the biggest one for me was that you have to go into the menu system to actually change the wattage when vaping in temperature control mode. Even though I primarily vape in wattage mode most of the time, it’s still a con to be mentioned, as for the times I do vape in TC mode, I do like to initially adjust the wattage to find that sweet spot. The 510 connection is a con as well, but most atomizers did look good, even the Frogman XL which has an overall diameter of 26.5mm. If it were flat, I do think atomizers would look better overall, and it would probably accommodate larger atomizers with ease. Regardless, it doesn’t really take away from its excellent perform and quality. For about $54 for the standard kit and $52 for the “Lite” version, I think it’s an excellent deal and provides a lot of value for the money. If you’re looking for a well built vape kit that offers solid performance and don’t mind a larger size, then I definitely recommend the Vaptio N1 Pro 240w Kit.